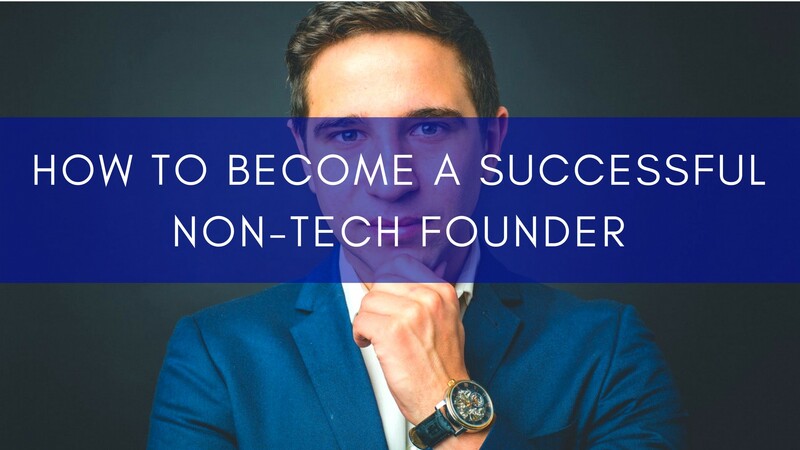 How To Become a Successful Non-tech Founder? Most founders seem to come from a technical background because for the rest, the startup space does appear a lot more difficult to conquer. Many startups register and fade off every other day. It’s hard to discern exactly what makes some succeed while most others fail. But the deciding factor is definitely not based merely on knowledge of engineering. And while it would be undoubtedly be an advantage to be both business-savvy and tech-savvy, most of us lean to one side or another. However, let’s be clear. It’ll prove extremely challenging to launch a business without having any technical skills to speak of, but a lack of tech skills can be overcome. Having said that, below are a few practical tips to help you succeed. Non-technical founders are typically people from a management background. Leverage your experiences and connections from your field to help you get started. From existing connections, if you can identify one million in theoretical revenue, your company is well positioned. If you’re walking into a new industry, start small, but think big and to have clear target customers to call on, choose a niche. “Build it, and they will come” sounds nice, but more often than not, the reality is far removed from that. While your technical team is working on the product, start scouting for customers. Use mockups to demonstrate what the company is building and presell the product. This way you’ll have some prospects and business customers lined up when the product launches. Further, this exercise will help you gain an insight into what customers want to use and are willing to pay for. And also, the product is never really done so don’t wait to start selling. It’s easy to think of the software business in terms of the right software, tech stack, SDK, etc., but we forget that it’s not the machines that write software, it’s the people. Your product will not turn out anywhere close to the usability mark if you hire the wrong set of people. When you don’t understand technology enough to evaluate software engineers, quit trying to hire them, be it in-house or outsourced. 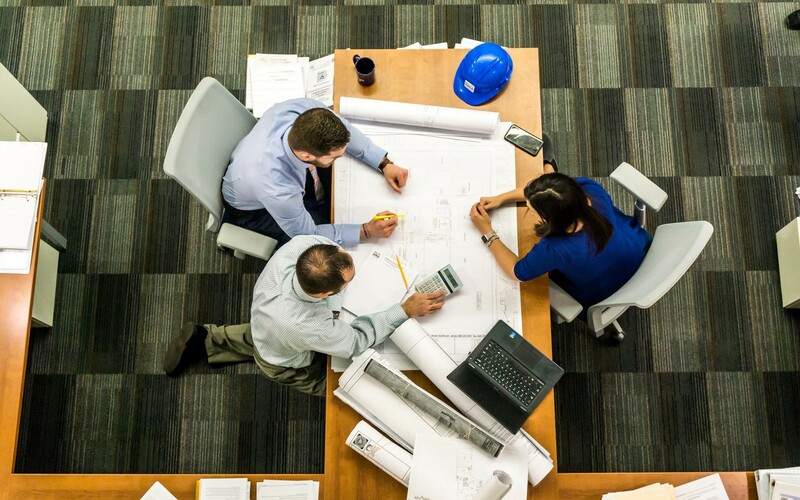 Bring on additional help from within your network, someone with enough experience in this space and has been involved in interviewing candidates in the technical field. Get them to evaluate the candidates you have shortlisted. And also, while you’ll eventually want to bring on a technical partner, don’t rush into it prematurely. When courting a co-founder, you’ll have to give up a large percentage of the company, and before your startup has a chance to soar, a rash decision will run it into the ground. Start with a handpicked contractor, this way you’ll retain control. It can be intimidating to not know and understand enough tech as a non-tech founder. So remind yourself that you don’t need to know how to code a piece of software or develop an app, but to lead your team, you do need to have the vocabulary and an understanding of the process. Strive to become totally teachable in technology. Learn from other people in order to apply and master the laws of technology. As a non-technical founder, without fully understanding what you’re purchasing, it’s easy to get deceived into believing that you need a particular piece of software or hardware. If you have a technical partner, they should be a good judge of this. If you’re on your own, don’t get blinded by fancy tech. Start off with used equipment, when it comes to hardware. With software, always take companies up on free trial periods and get familiar with the features and interface before pouring a lot of money into them. It’s natural to want to manage everything as the founder, but you have to be careful not to micromanage your technical team when you don’t really understand where they are coming from. Instead, establish a continuous update loop to set a process of communication and delivery between yourself and the team. Have a daily catch-up session with your tech team to understand how far they’ve reached on the previous day’s tasks, any issues they faced and the targets for the day. This will make sure you’re on top of the targets and able to fix any problems as and when they come up without wasting time. Most successful non-tech founders become obsessed with a problem rather than coming up with a fancy product idea and trying their best to make it a reality. Start with a problem you understand well. You should be the best person to craft a solution for that problem because you understand it so well. When you solve a problem that has been solved already, the only way to succeed is to be so innovative that your solution is a lot better than what’s currently being offered. Also, you might be living with this problem for a long time, so the problem better be real and personal to you so that you remain invested in it for long. This mindset sustains founders through the inevitable ups and downs and, most importantly, will keep you from falling in love with a product nobody wants. Most successful non-tech founders are all amazing story-tellers. One thing you need to master well as a non-tech founder in order to win is the ability to sell your vision. Keep your story simple and relatable. And above all, communicate it through passion. It’s hard to sustain this passion through numerous retellings of the story unless you’re really invested in solving the problem. So make sure the problem is real, and the story will emerge. Coding isn’t for everyone. You require a certain interest or aptitude to learn and then be proficient enough to build a program as complex as your project might be. Instead, as non-tech founder you must undertake a short course in technology, things like the databases, tech stacks, their differences, web services, etc. This will help you understand whether you’re making the right choices in technology for your product or not. High-level business spiel isn’t for everyone. It’s great roundtable conversation, but not with your core technology team. Detailed workflows, instructions and elaborate functionalities and features to begin the development are what your team needs. Start with a detailed functional specifications document. You can always get external help to assist you with this. Build screen-by-screen mockups with the help of online prototyping tools to explain the project requirements visually. This will makes sure your tech team understands your expectations thoroughly and works with you productively. It is not technology first. Technology is just a means of solving different problems. It’s the people who use that product who matter the most. Engineers and developers often get carried away by the technology at their disposal and create something just because they can. Being a non-technical founder allows you to look at things in a non-technical way. You may see things that a programmer or engineer may miss with your fresh set of eyes. As a founder, this is very important since you want to make sure the vision is intact on a business level. So don’t ever question what you bring to the table and good luck. Tips, advice and insights from our digital product strategy, design and development experts.